X Games Aspen 2013 made history with the largest 4-day crowd attendance ever with 115,000 people including a record-breaking 47,200 on Saturday alone at Buttermilk Mountain in Aspen, CO, January 26, 2013. While the X Games continues to be known as the “alternative Olympics” it also has some interesting snow sports in its competition line-up including Skier Slopestyle, Snowboarding Big Air, a host of Snowmobiling events, and the most popular of events, the Snowboarding SuperPipe. Shaun White gets masssive air to win th gold, again. Photo by Scott Clarke, ESPN Images. The big news of the X Games was that Shaun White, 26, of Carlsbad, Calif., made X Games history on Sunday night, January 27, winning not only his 6th consecutive SuperPipe gold, but bringing his total winter medal count to a record breaking 18. White’s second run earned him a high score of 98.00 and featured an enormous 24-foot backside method into a frontside double cork 1080 to a cab double cork 1080 followed by frontside 540 to a backside double Mctwist 1260 and ending with a frontside double cork 1260. 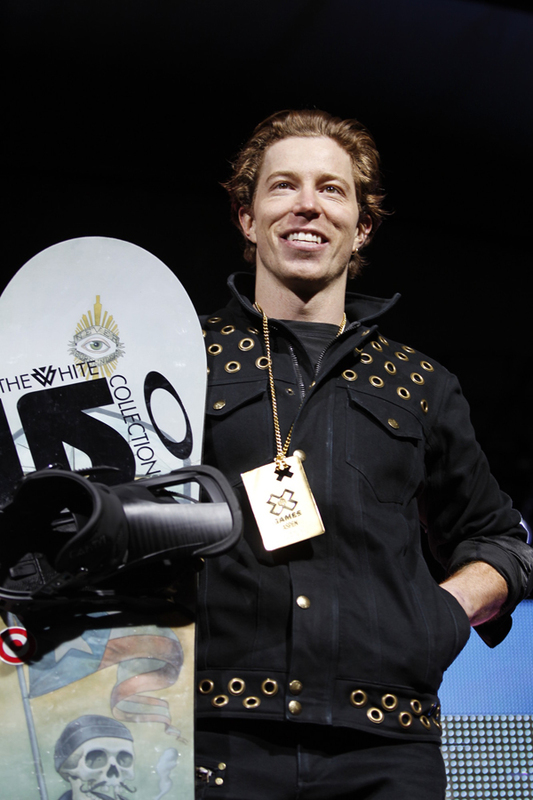 Shaun White with a shorter ‘doo and gold medal winner for the 6th time. Photo from ESPN Images. There was a noted absence, however, as Iouri Podladtchikov – aka “I-Pod” – had to pull out of the contest due to an illness. “My main competitor got incredibly sick last night and couldn’t compete, so that was disappointing,” said White. The Future of SuperPipe: Ayumu Hirano, 14, silver medalist. Photo by Tom Zuccareno, ESPN Images. The silver went to 14-year-old rookie Ayumu Hirano of Murakami, Japan. This is the future of the sport, and someone to note as he broke onto the scene just as a young Shaun White did a decade previous. The young gun gave White a run for his money with incredible amplitude and impressive hits, including an 18-foot backside method to a frontside 1080 to cab 1080, followed by a frontside 900 to a backside 900 and ending on a frontside double cork 1080. Hirano’s amplitude never dipped below 15-feet out of the 22-foot SuperPipe. Bronze went to Markus Malin, 25, of Lahti, Finland, who earned his first X Games medal. Malin’s run included a frontside double cork 1080 to cab double cork 1080 and ended with an alley-oop backside rodeo. 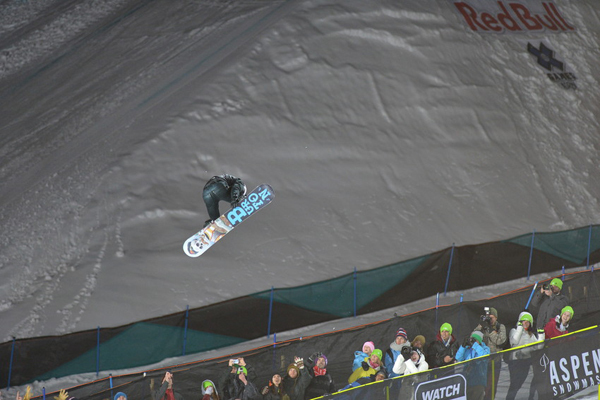 What’s also unique about this year’s X Games in Aspen is that the event made its debut as a part of the 2013 World Snowboard Tour as 6Star Halfpipe and Slopestyle events. Both Aspen and Tignes are an official part of the series, counting toward the overall TTR World Championship for 2013. 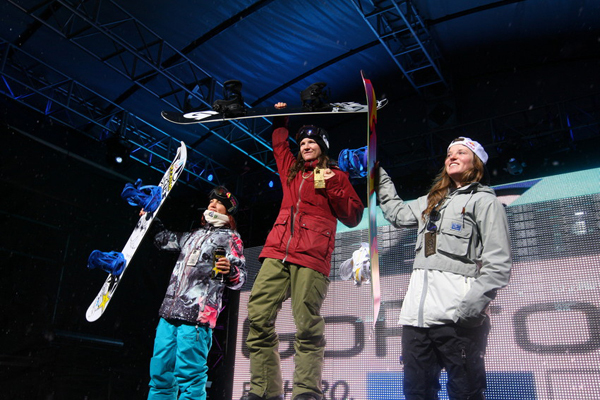 Women’s SuperPipe winners at X Games Aspen 2013: Kelly Clark, gold, Elena Hight, Silver, Arielle Gold, bronze. Photo by Gabriel Christus, ESPN Images. 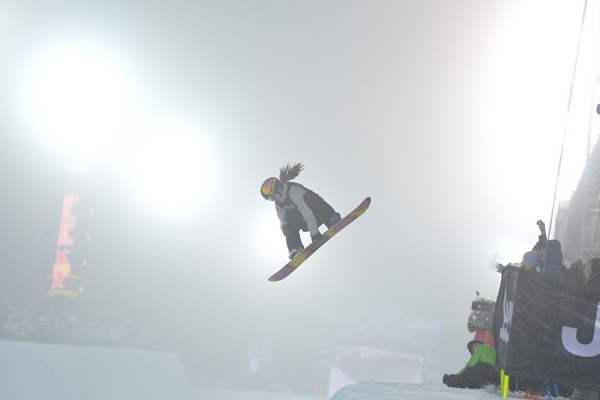 In the women’s SuperPipe Finals, herstory was made once again with Kelly Clark 3-peating her gold medal win. In what was a close–and well attended with over 47,000 people–battle for gold, veteran Kelly Clark, 29, of Mammoth Lakes, Calif., managed to gain a slight lead over silver medalist Elena Hight in her third and final run. Hight was leading for the majority of the competition after she landed the first-ever – by any male or female – backside ally-oop double rodeo 900. “I was pretty blown away that I landed that,” said Hight. Clark edged Hight out with huge amplitude, boosting 14-feet out the SuperPipe, and technical back-to-back tricks, including a frontside 1080 to a cab 720 to a frontside 900. Arielle Gold boosting in the SuperPipe to claim the silver. Photo by Scott Clarke, ESPN Images. 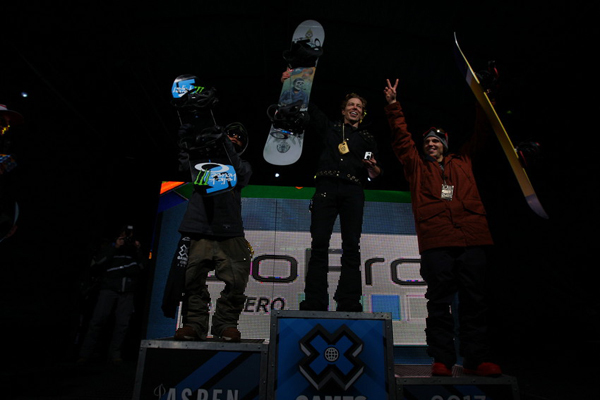 Bronze went to X Games rookie, Arielle Gold, 16, of Breckenridge, Colo. who was granted a place in the final only three days prior when veteran Gretchen Bleiler pulled herself out of the competition. Gold’s best-scoring run included a frontside 900, backside 540 to frontside 540 and a frontside 720 to a cab 900.